NASA scientists have confirmed the presence of chemical vinyl cyanide through data collected by the Atacama Large Millimeter/submillimeter Array (ALMA) in Chile. Although this chemical is typically used on Earth to make acrylic garments and tent fabrics, under the right conditions on Titan, they could form flexible structures like cell membranes. Produced synthetically on Earth by converting hydrocarbon methyl ethylene, units of hydrocarbons are strung together to form polymers or mixed with other chemicals to create fibres. On Titan, the moon's rich abundance of hydrocarbons in the atmosphere could theoretically do the same process. "We found convincing evidence that acrylonitrile is present in Titan's atmosphere, and we think a significant supply of this raw material reaches the surface," said lead researcher Maureen Palmer from NASA's Goddard Space Flight Centre. 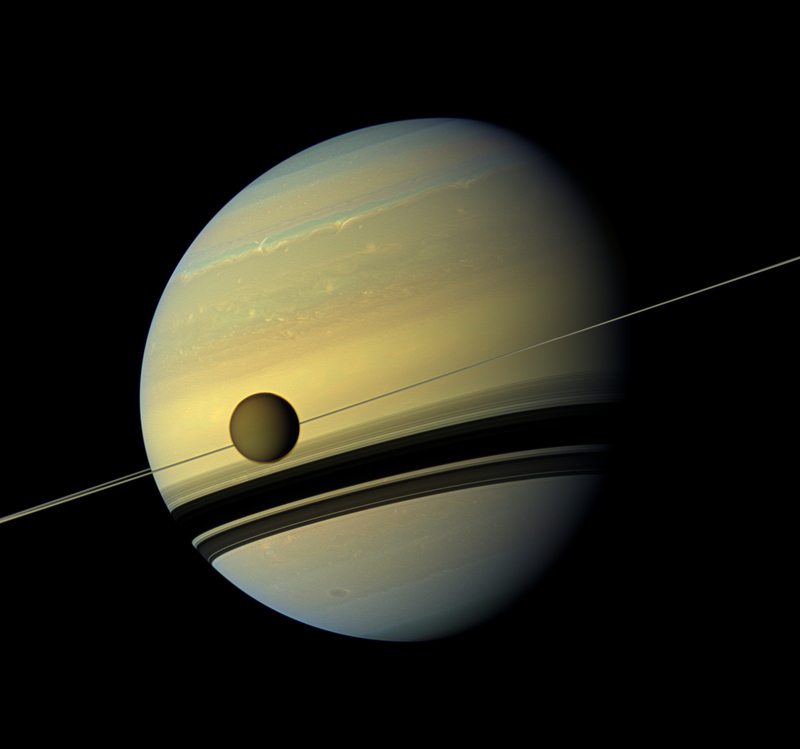 Previous studies had suggested the possibility of vinyl cyanide existing on Titan, but until this discovery, the chemical could not have been verified on the moon of Saturn. This verification is another nudge towards the possibility of life existing on other worlds - even in forms less conventional.